Panoramic photos ranging from 8 to 34 photos in length. Some Maine landscapes, some shot inside buildings/churches. Hover your cursor over each photo to bring up a menu that allows you to enlarge. If you are interested in purchasing any of these images, please Email me for more information. 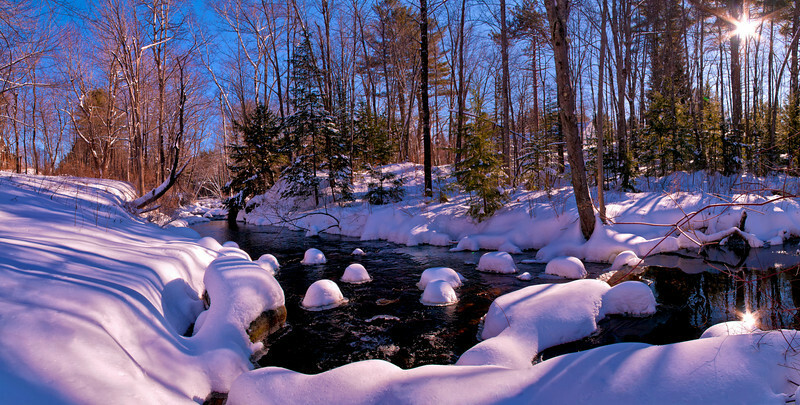 Willett Brook, Bridgton, Maine, 6 image panorama.